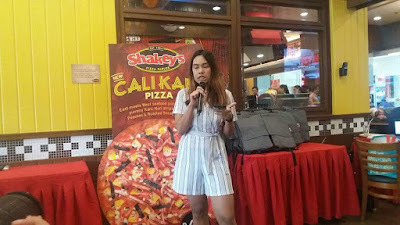 Luckyfinds: The Cali Kani Pizza from Shakey's is another winner! The Cali Kani Pizza from Shakey's is another winner! Shakeys has always been my haven for thin crust pizzas plus chicken and mojos. And I love that Shakey's gets extra playful with its meatless pizza lately. 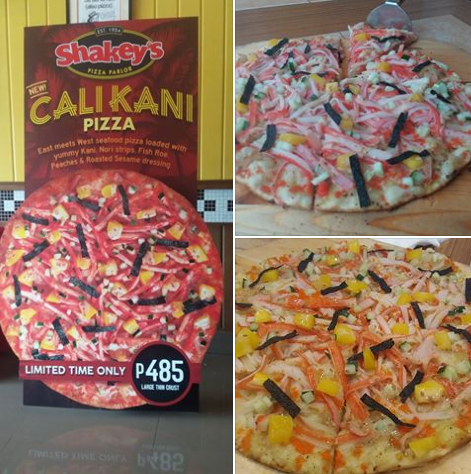 With the highly acclaimed success of The Scallop Primo Pizza comes another winner from Shakey's----The Cali Kani Pizza! East meets West in Shakey's newest masterpiece loaded with yummy kani, peaches, cucumber, and fish roe with Japanese Sesame Dressing. I got to try out this unbelievable creation in a product launch held earlier at the SM Light Mall branch. This pizza mix is a fusion of American and Japanese flavors. 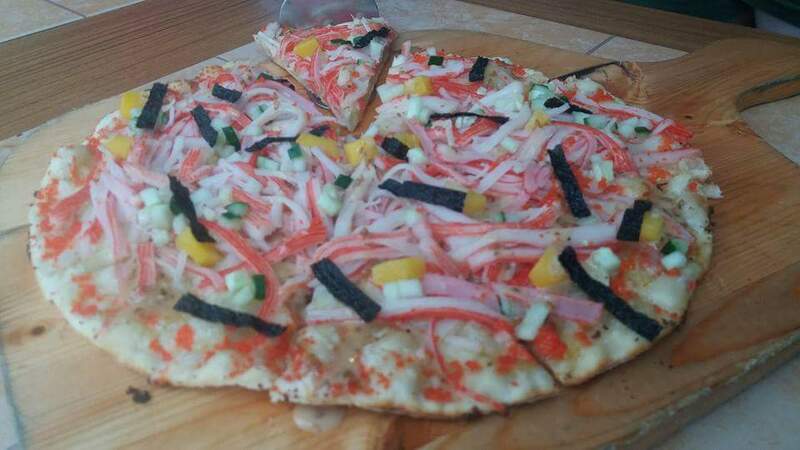 The yummy crust uses Japanese Sesame Dressing. The yummy kani, fish roe, and peach slices complements each other, making every bite burst with flavors! The full and bold taste of Kani blends well with the light sweetnesa of sliced peaches. The salty kick of the Japanese Sesame Dressing enhances the flavor further. The Cali Kani Pizza is truly another winner from Shakey's. You may grab this from Shakey's outlets near you. The Cali Kani Pizza offering is available for a limited time only. Place your order by dialing (02) 77-777 or via Shakey's Mobile app. Visit www.shakeyspizza.ph for updates and promotions.